The second ever Pixar Short and now the iconic logo. Luxo Jr. is just another simple animation with no adventuress storyline or lots of characters but nevertheless it’s rather funny and quite magical. John Lasseter’s creation features a two minutes animation of a baby lamp trying to play with a ball all under the watch of his father, a bigger lamp. The way the movement is captured is brilliant and how obvious it is to see the emotions displayed by the lamps are remarkable considering they’re just everyday objects. Bearing in mind this is a 1986 production the animation quality is outstanding. 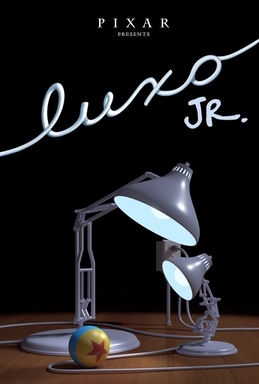 In 1986 Luxo Jr. was the first film released by Pixar and this is now to the present day the hopping lamp that is in the logo and opening titles. No wonder it got so popular with its cute behaviour. The noises he squeaks and the body language portrayed really does make you get attached to this lamp and you find yourself smiling and laughing. This was at the beginning of Pixar but from this you could have easily predicted a mountain of success was on its way. John Lasseter writer and director deserves credit for such an inventive idea and brilliant execution, Luxo Jr. also went on to get nominated for an Oscar and eventually got released with feature film Toy Story 2 (2000). Simplistic but quite simply fantastic all once again with that magical “Pixar” feel.